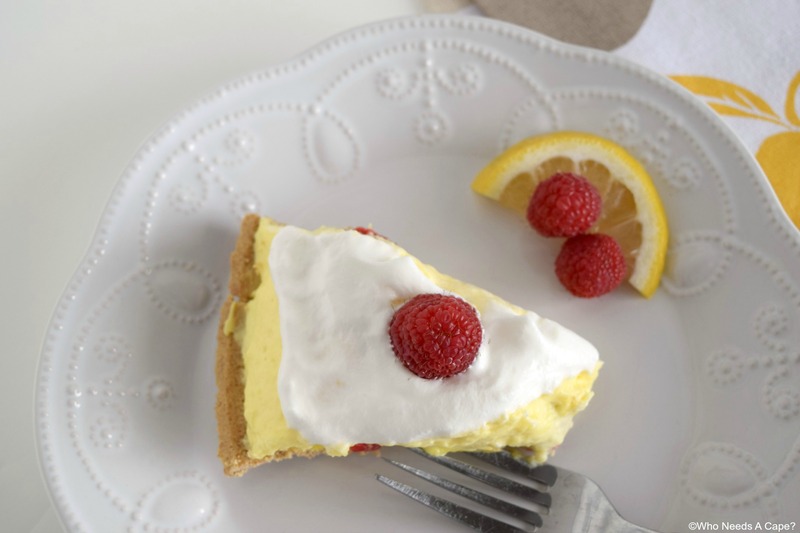 Creamy Lemon Layered Pie - Who Needs A Cape? 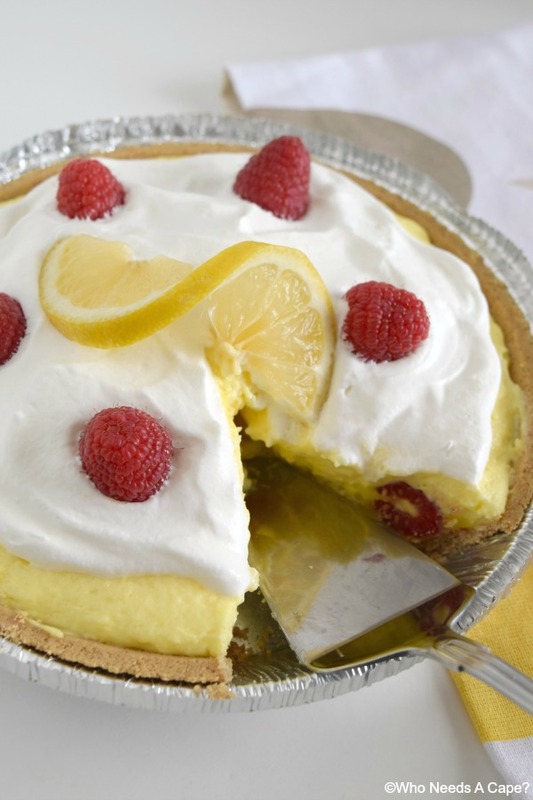 Creamy Lemon Layered Pie is creamy, dreamy and delicious but also a breeze to make. A new no-bake dessert favorite at our house. Introducing our newest dessert: Creamy Lemon Layered Pie! A super simple dessert that can be prepare in no time at all. Today’s an extra special day, we couldn’t be happier to be participating in a fun LEMON themed recipe challenge with some of our talented blogging buddies! Be sure to pop down to the very bottom of this post to find all of the bloggers participating. 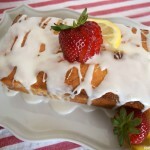 You don’t miss any of their unbelievably delicious and lemony posts! When I found out that lemon was the ingredient for this month I was super excited, lemon is one of my favorite flavors! Whether used in desserts (my first choice), beverages, sides or entrees lemon is an ingredient that adds a delightful touch. My mind started immediately turning trying to settle on a recipe. I ultimately decided upon a dessert because I desperately needed something that reminded me of springtime. We’re stuck in the doldrums of winter here in Michigan and I’m craving sunshine and warm weather. I found a super easy recipe online that I wanted to change up a tad to make it something just perfect for my family. A burst of sunshine in a pie pan! 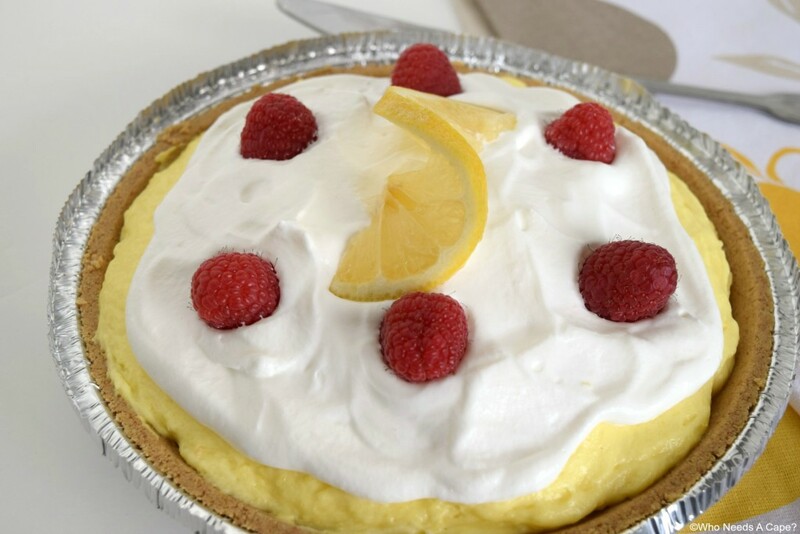 When I said this Creamy Lemon Layered Pie is simple , I wasn’t exaggerating…at all! There’s a couple of time-saving ingredients which make this pie come together quickly. First off a store-bought prepared crust. 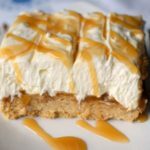 Yes, you could certainly prepare your own graham cracker crust, but since I was looking for FAST FAST FAST, I opted to use store-bought and it was perfect. The next item that could save you time is prepared whipped topping (yes the stuff in the tub). I made fresh whipped cream because it’s a preference and is super easy to prepare, but once again, go ahead and use what works for you. 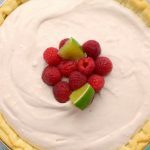 Lemon and raspberries are a wonderful combination so I used raspberries buried within the pie and on top, but if you prefer blueberries or blackberries, give them a try. See where I’m going with this? Experiment and try whatever sounds good to you! My entire family, even my 4-year-old enjoyed this pie. It was creamy, lemony and just the perfect little sweet for after dinner. It has already been requested again, how can I say no to that? 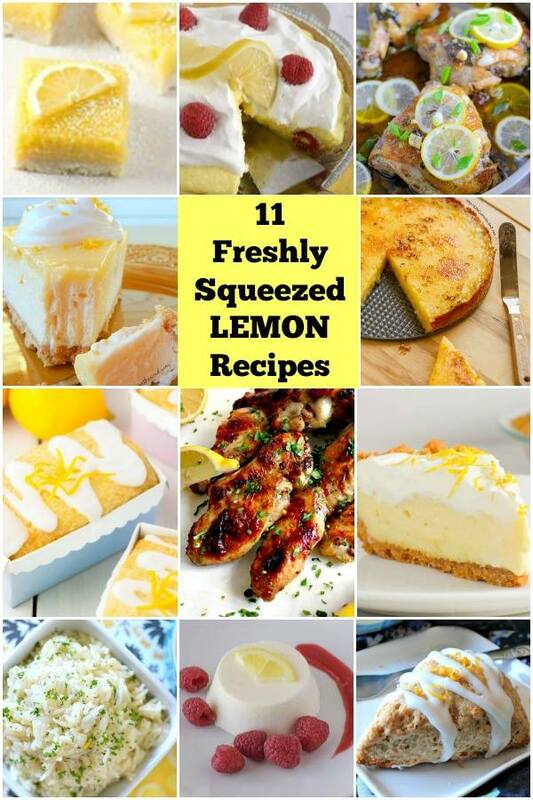 I hope you enjoy, and be sure to visit all the yummy lemon recipes below! Prepare whipped cream by beating cold whipping cream and confectioners sugar with electric mixer until light fluffy peaks form. Take care not to over beat. Beat pudding mixes, milk and juice with whisk, approximately 2-3 minutes. Spread 1-1/2 cups onto bottom of crust, reserving the rest. 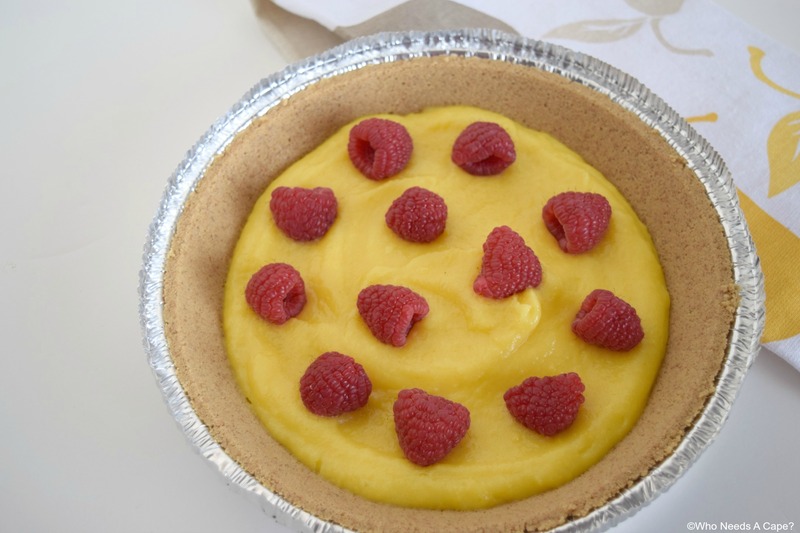 Place a layer of raspberries on pudding mixture. Fold 1/2 of whipped cream into remaining pudding. Spread onto pudding layer. Top with remaining whipped cream. Refrigerate 4 hours or until firm. Prior to serving add remaining raspberries for decoration. Feel free to use prepared whipped topping such as Cool-Whip if desired. 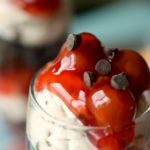 I love a no-bake dessert and this delicious! Love that the raspberries are right in there and this looks like such an easy pie to make, YUM!! I LOVE lemon pie. It’ maybe my favourite dessert ever, and I love how simple this one is to make! I love your pie! I want to eat it all…. in fact I’ll take 2 please! Thanks also for the other lemon recipes at the end. I like them all and now I think my to do list just grew! This looks delicious! Love the lemon and raspberry! 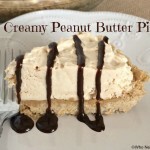 I’m totally drooling over this pie! Lemon and raspberry are two of my favorites!! This looks like the perfect spring recipe! Love the colors and flavor! This pie looks incredible and a great way to welcome Spring! 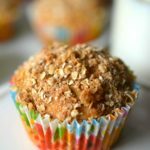 I love that this is so easy to make and really delicious, too!